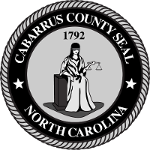 Register for Cabarrus County’s #CabCoAlert mass notification service. Register for Cabarrus County’s #CabCoAlert mass notification service. This service allows authorized County leaders to create and rapidly disseminate time–sensitive messages to every telephone number stored in the notification database via phone call, email and or text message. In an emergency, the Sheriff’s Office and your local police are able to place evacuation calls to your home land line without registration. However, residents are encouraged to register their cell phone, which increases the likelihood that you receive timely notification of evacuation and the post-event all clear. Thanks to mobility, you can stay connected no matter where you go. Now with the Blackboard MyConnect™ smartphone app, you can stay in touch with the institutions that matter to you, too. If you have a relationship with an organization that sends alerts from Blackboard Connect – whether a school, university, local government or a private business, you can use MyConnect to personalize your message experience and stay in touch no matter where you are. What is the #CabCoAlert service? The #CabCoAlert service allows authorized civic leaders to create and rapidly disseminate time-sensitive messages to every telephone number and email address stored in the notification database. These messages are delivered as voice phone calls, SMS text messages, and or emails. With this service, authorized users can send thousands of messages in minutes. Only authorized officials are allowed access to the system. Any message regarding the safety or welfare of our community would be disseminated using the CABCOALERT service. Examples would include severe weather warnings and updates, hazardous traffic or road conditions inside the town or affecting local routes, and any other situation that could impact the safety, property, or welfare of our citizens. Does the #CabCoAlert service replace other systems that have been used to provide time-sensitive information to residents? This system is a significant enhancement to existing means of communication and is supplemental to, not a replacement for, the systems we have used in the past. TV, radio, our county social media and web site will continue to broadcast important announcements. Yes, we can accept cell phones as primary and secondary phone numbers in the database and encourage you to request that your mobile number be included.